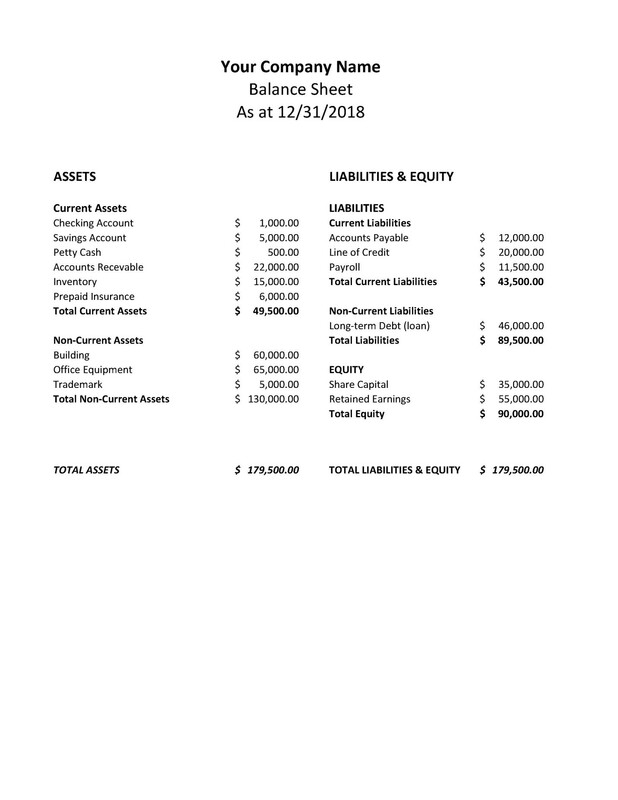 Reading Financial Statements 101: Part 2 - Redstone Agency Inc.
Now that you have an understanding of the Income Statement (IS), let’s discuss The Balance Sheet (BS). The Balance Sheet, or ‘Statement of Financial Position’, is a summary of the financial balances of an organization. Simply put, the BS provides an outline of what is owned, and what is owed. To recap, the IS provides information about a period of time, such as a corporation’s fiscal year (ex. January 1 to December 31 2019). The BS provides a ‘snapshot’ of the company at a specific point in time, such as the end of the fiscal year (ex. As at December 31, 2019). Of the four basic statements, The Balance Sheet is the only one that applies to a point in time. While Assets generally represent resources, the other half of the Balance Sheet equation demonstrates how these resources are financed – either by borrowing money (‘Liabilities’) or by using internal funds (‘Equity’). This demonstrates that Assets, net of any Liabilities, equal Equity. Put simply: what I have, less what I owe, is what I own. 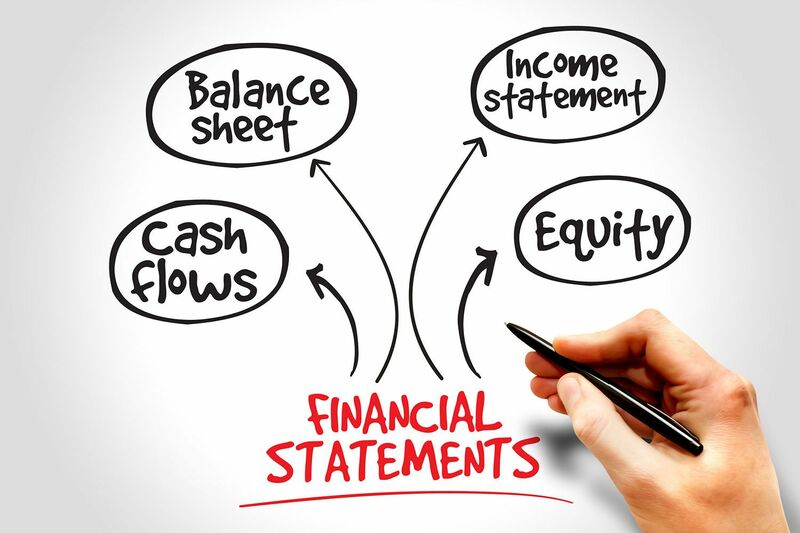 The Balance Sheet, along with the IS and cash flow statements, are an important tool for owners, investors and other shareholders looking to gather information about a company and its financials. Now that you have a basic understanding of what is in the financial statements, it’s important to know what to do with that data and how to interpret it. Financial Ratios provide a point of analysis when monitoring a company’s performance. Though not very useful on their own, ratios become a powerful tool when compared to other companies, industry benchmarks and internal trends over time. Some of the more commonly know ratios include Return on Investment (ROI), Debt to Equity Ratio, and Price-Earning Ratio. After reviewing the aspects of the Cash Flow Statements, we’ll take a closer look at the above ratios and their relevance in difference industries and circumstances. Many of them are surprisingly easy to calculate, yet provide a lot of information, so get ready to impress your friends at parties with your financial prowess. Jessica is the Manager of Accounting and Financial Services at Redstone Agency. She has experience in a variety of industries and has worked both in the startup world and with a Big 4 firm. She brings with her a wealth of knowledge on accounting and financial management best practices, as well as processes and procedures for ensuring clients’ financial health.